Although he may have sold his ad-tech company, ClickAgents, for $40 million, Yahoo bought his next ad company, BlueLithium, for $300 million. But, I wanted to find out more about his startup story and how he got where he is today. However, I didn’t want to talk to Gurbaksh about his past but about his future. The serial entrepreneur has also founded Gravity4, the world’s first A.I. big data marketing cloud. The leading big data marketing cloud also introduces, LydianCoin. Lydian has licensed and has forked the G4 Marketing Cloud to provide pre-paid digital advertising services for the blockchain community, accessible by the Lydian cryptographic token. After hearing how Paris Hilton recently pledged her support for Lydian too. 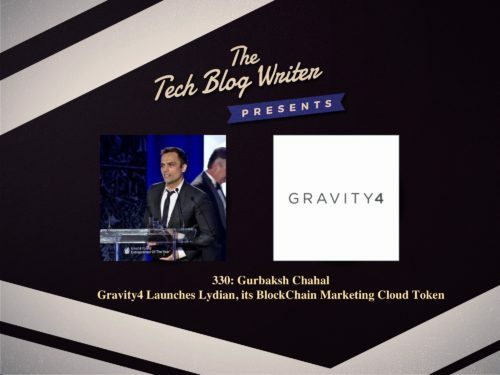 I invited Gurbaksh Chahal onto the show to learn more about Gravity4 and Lydian. This episode offers a fascinating insight into the business mindset of Gurbaksh Chahal and his refreshing motivations that are his secret to success.